Hugh N. Jarvis is a major shareholder in SSID Financial and Seed Sowers Investors and Developers Co. Ltd. where he has devoted 70% of his practice to International Business Relations as a New Business Development Consultant for the past fifteen years. He has extensive experience in Corporate and Diplomatic relations representing major Civil Engineering Companies, Investors, International Business and Angel Investors. Dr. Jarvis has participated in the preparation and presentation of multiple business proposals and successfully gained major contractual approvals in the Caribbean and in Pahokee, Florida, U.S.A. Dr. Jarvis is part owner of a major bike sharing business newly incorporated in the Caribbean, he holds a Master of ministry and Diplomatic Protocol from CICA International University and Seminary, a Bachelor of Ministry and Management and also appointed as an Ambassador of WOLMI, an NGO accredited to ECOSOC of the United Nations. Dr. Jarvis is a Registered General Practice Psychotherapist and Registered Clinical Counsellor from the Canadian Christian Clinical Counsellors Association with Letters Patent, the Government of Canada. 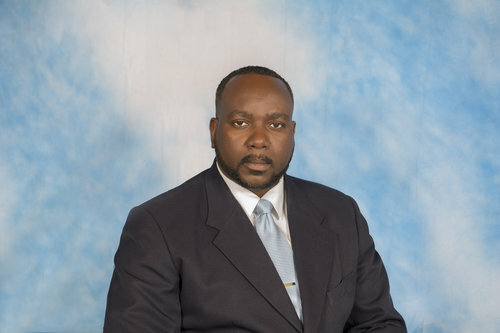 Dr. Jarvis primarily worked within the Magistracy of Antigua and Barbuda, and attached with special service to the Legal aid and Advice center where over 25 years of service in the ministry of justice and legal affairs gained lifelong paralegal training. Dr. Jarvis is currently enrolled in the EUCLID's University PhD program "Interfaith research and Diplomacy", to be completed in 2019, and pursue his LLB in legal studies part time at the City University in London. Dr. Jarvis is a minority partner of the Caribbean Institute of Blockchain Industry (CIBCI) and a Senior Officer at Carinet, Caribbean Digital Finance and Free Trade System.